The 12th edition of the Tens will take place at the Bangkok Patana School and Sports Complex on 25th and 26th of February, 2017. This time as well, the event is going to be exciting for sure and it will make the weekend of the spectators spectacular, it will be full of socializing and fast-paced rugby games. Furthermore, this event is going to support the underprivileged children in Bangkok. The event will support Nak Suu, which is a charity organization in Bangkok and it provides help to the disadvantaged children from the slum of the city with rugby training. The game teaches them important life skills and also helps these children to build their characters in a right direction. 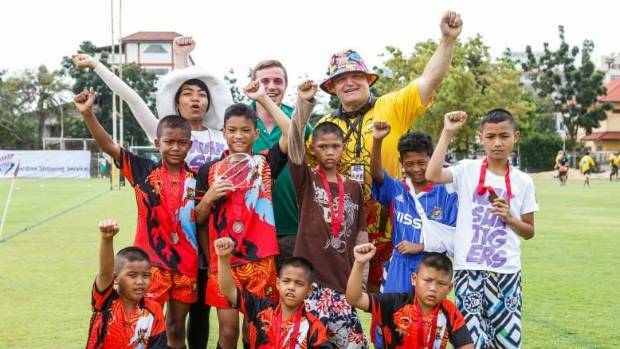 Just like the last year, this year as well all proceeds coming from the Bangkok International Rugby Tens (BIRT) will directly go to the charity and will support the work it does for such children. Year after years, BIRT has expanded its reach significantly and the team now attracts nearly 100 teams from all over the world to Bangkok to play the game of rugby. In the two-day event, the teams will compete at different levels of competitiveness. The International teams that will come to Bangkok to play this rugby tournament include veteran men’s, men’s, boys’, ladies’ contact, ladies’ touch and ancients’ teams. The authorities say, “This year, we are predicting around 5000 spectators and 2000 players, which is slightly more in comparison to the last year. And the increase in the number of both spectators and players is because of the reputation of Ten’s for some great rugby games, food and entertainment.